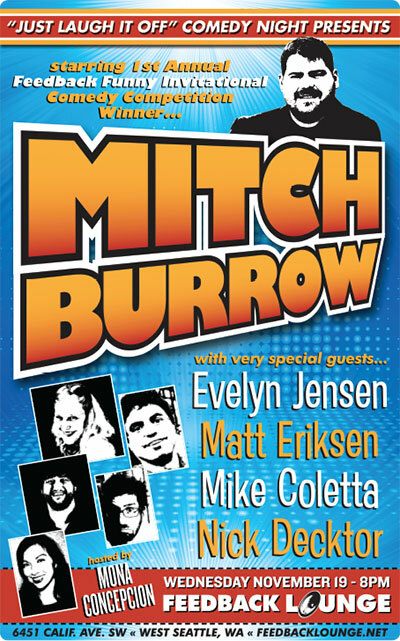 Mitch Burrow is one of Seattle’s favorite rising star comedians. In addition to being the winner of the 1st Annual Feedback Funny Comedy Invitational, Mitch has performed to capacity rooms all over the Northwest. Come see Mitch and his special guests for a night of free comedy! The 1st Annual Feedback Funny Invitational Comedy Competition Finale wraps up at the Feedback Lounge on Wednesday April 23rd at 8PM. 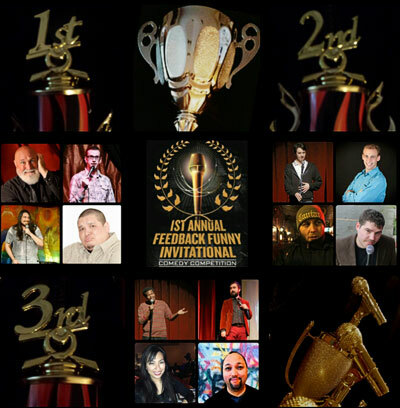 Ten of Seattle’s best comedians will be competing to become the 1st Feedback Funny Champion. This includes Anthony Robinson, Robert Pidde, Mitch Burrow, Nigel Larson, Brendan Kelley, Jeffrey Robert, Albert Kirchner, Cameron Mazzuca, David Zoe Leon and Cris Rodriguez. Kermet Apio and Mona Concepcion are hosting this outstanding event.